Emptiness is a poor long-term solution. Nature won’t stand for it. The air around you isn’t empty, for the record. It’s chock-full of molecules built with oxygen and hydrogen and nitrogen and all sorts of atomic structures invisible to the naked eye, each one bouncing off the others, mixing, spreading, reacting, existing. Nature doesn’t mind that. 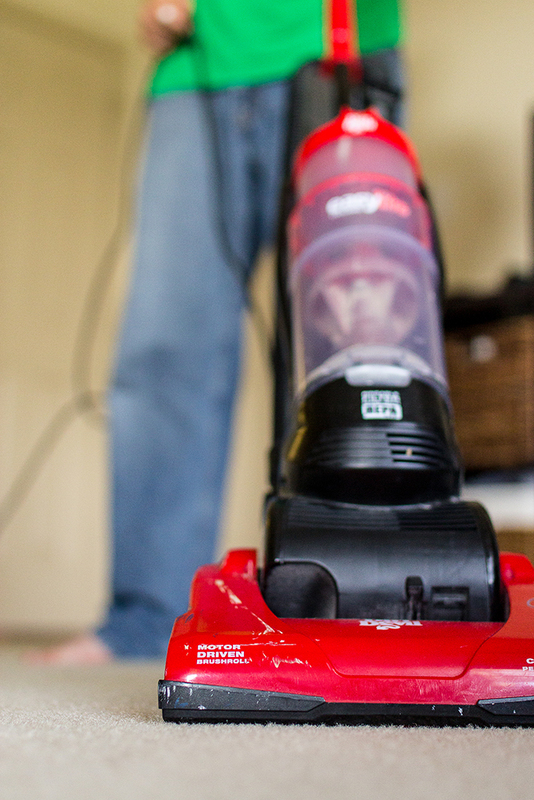 What nature hates is a vacuum. True emptiness. God designed the universe to maintain equal pressure whenever possible, and a vacuum upsets that balance by creating a pocket of low pressure. Left to its own devices, the universe will flood a vacuum with bits and pieces of itself until pressure has returned to normal. Vacuum cleaners and ceiling fans take advantage of that scientific principle by generating mostly empty spaces that air feels compelled to fill. A Thermos uses a sealed vacuum to keep hot things hot and cold things cold, because it turns out there’s no insulator quite like a gaping abyss. In fact, the only reason our entire atmosphere hasn’t been sucked into the inky vacuum of space is because the tremendous gravitational pull of the earth continues to keep it in check. Without it, our precious blue jewel of a planet would be looking awfully similar to the barren, inhospitable wasteland that is our moon. But believe it or not, there’s an even scarier kind of vacuum, and it’s the kind you and I can create all too easily in our hearts. Although it’s generally invisible to us, the spirit realm is an extremely active place. God’s Word gives us a couple glimpses into how it works, and Christ’s warning in Luke 11 is one of those glimpses. Unclean spirits—that is, demons—can take up residence within a person. To demons, a human being is like a house—a dwelling place in which to put up their feet and call home. But the most interesting thing about this glimpse into the spirit world is not how these unclean spirits view us; it’s what happens when they’re kicked out. Terrifying stuff, if you think about it. But a spiritual vacuum influences far more than just demonic activity—it has a huge impact on sin in general. Have you ever found yourself stuck in a sin? Struggling over and over with a shortcoming you want desperately to be rid of, but that keeps sneaking its way back into your life anyway? We all have. I don’t know one person who’s immune to this vicious cycle—and it’s one of the most disheartening things a Christian has to face. There’s nothing more humiliating than finding yourself once again held captive by an ugly part of your life that you were sure you’d left in the past. We have the highest, loftiest calling in the world—how in the world can we ever become the men and women God called us to be if we can’t stop tripping over the sins of yesterday? Is it even possible? God established His perfect laws to protect us. Think of them like a fence—outside the fence exist the worst evils this world has to offer, whereas inside are the actions and decisions that lead to peace. There’s nothing stopping you from jumping that fence, but doing so would expose you to a literal world of trouble. John defined sin as “the transgression of the law” (1 John 3:4, King James Version), which for us means that each section of “fence” correlates to a specific part of God’s law. If you find yourself outside that fence, your first priority (after repenting and getting back inside) ought to be identifying exactly what part of God’s law you violated and why it matters. It’s one thing to understand that God said “You shall not steal”; it’s another thing entirely to understand that He said it because theft has the potential to destroy your relationships, tarnish your reputation, harm the lives of others, and degrade your character. Identifying a transgression doesn’t just mean figuring out where we jumped the fence; it means figuring out why the fence is there in the first place. There’s always a reason, and it always matters. Sin starts in the heart. Jesus made that abundantly clear during His Sermon on the Mount (Matthew 5:21-30), and then again while upbraiding the hypocritical Pharisees: “For out of the heart proceed evil thoughts, murders, adulteries, fornications, thefts, false witness, blasphemies” (Matthew 15:19). That’s the source. Sin goes so much deeper than the act itself. Like a seed putting down roots, our hearts must nurture and protect sin long before it has the strength to manifest itself in a physical action. When sins come creeping back into our lives, it’s often because we’ve tried to overcome them by ceasing to act—removing the action itself while leaving the plant from which it grows. That’s not enough. The sin isn’t just the bad choice you’ve made; it’s a defect within your heart. Restrain yourself from acting all you like; so long as that defect remains, sin will win out over all the better judgment and willpower in the world. In the Sermon on the Mount, Jesus traced adultery back to lust and murder back to hatred—two serious actions that start deep within the heart. All other sins are the same way. If there’s a particular action or actions you’re struggling with, identify what defect in your heart fuels those actions. Involving God in the process is important—He can see the secret parts of our heart we’ve hidden even from ourselves (Psalm 139:23-24), and He can reveal those parts to you. Only then can you get to the root of the problem. Only then can you beat this sin. This is it. You’ve identified the law you’re breaking, you understand why it matters, and you’ve traced it all back to the root of the problem in your heart. This is the moment of truth—the choice that determines whether you’ll stamp this sin out or just temporarily silence it. A lot of people (including myself) tend to take the approach of attacking the sin itself—rooting it out and discarding it. And yet in spite of our most Herculean efforts, it seems to hibernate instead of die, just waiting for the best moment to rear its ugly head and start wreaking that old familiar havoc in our lives. Take a former thief, for example. Suppose he’s acknowledged the error of his ways—suppose he understands now the damage he was doing to himself and others, and he can see in his heart how his wrong actions were driven by his own heart’s selfishness and greed. Fantastic. But now suppose he spots something he wants to steal—because, make no mistake, he will spot something. Satan will make sure of it. What happens then? He’ll tell himself, “Don’t steal. Don’t steal. Don’t steal. Don’t steal.” But he hasn’t given himself an alternative. There’s no action he can take to try and squelch that old impulse; he can only sit there and fight it with inaction. Victory in this instance means successfully doing nothing. And he might win that battle once, twice, a dozen times. But guess what’s going to win out eventually? That’s right. Action. We’re not designed to sit around and do nothing, and we can’t beat sin by sitting still. That just creates a vacuum for it to grow back and take control once again, doing even more damage than before. What our thief needs—what we need—is something to do instead of stealing. Paul has the answer. “Let him who stole steal no longer, but rather let him labor, working with his hands what is good, that he may have something to give him who has need” (Ephesians 4:28). What if every time our imaginary thief had the urge to steal, he made a greater effort to give? What if he could fight those old, harmful impulses with something better? What if he could conquer his old habits not with inaction, but with righteousness? Sin cannot simply be removed; it must be replaced. Rooting out sin creates a powerful spiritual vacuum in our lives and in our hearts, and if we don’t actively replace it with something, our adversary will gladly do it for us. Unless we’re actively seeking to replace sins with Godly character, Satan will stuff more sins into these newly vacated spaces than we know what to do with. Overcoming sin requires a conscious effort on our part to find that sin’s Godly opposite and put it into practice. Thieves learn to give. Liars learn to speak the truth in love. Idolaters learn to worship in spirit and in truth, and the list goes on. Whatever sin you’re struggling with, God provides a corresponding aspect of His character as a powerful weapon to help you stamp it out, but you have to put it to use. You have to fill that vacuum. It’s tough, but it’s not impossible. We’re instructed, “Do not be overcome by evil, but overcome evil with good” (Romans 12:21). These three steps are a practical battle plan to overcoming evil, and we know that it can be done because “we are more than conquerors through Him who loved us” (Romans 8:37). The sacrifice of Jesus Christ and God’s Holy Spirit make these steps possible, doable, attainable. But—and this is important—this isn’t a “one and done” type of thing. 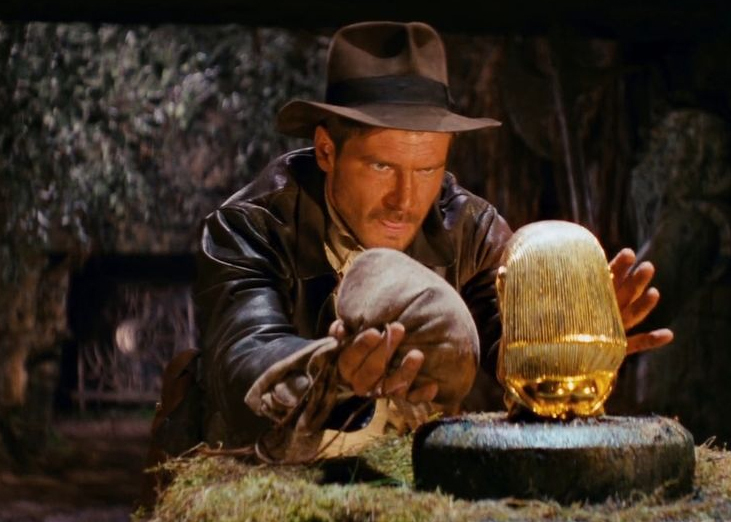 We’re not Indiana Jones, switching out the golden statue for a bag of dirt in one fell swoop. The process of building holy, righteous character is the process of a lifetime—and if you’re not actively building and practicing that character, then you’re giving Satan the opportunity to fill you with a different kind of character. And it’ll happen. Satan is clever, and he has ways of circumventing our best efforts, but that’s okay. It’s okay because God is stronger, God is smarter, and—as long as we’re taking steps to rid ourselves of Satan’s handiwork—God is on our side. And “If God is for us, who can be against us?” (Romans 8:31). If God is for us, then we are conquerors. If God is for us, then “neither death nor life, nor angels nor principalities nor powers, nor things present nor things to come, nor height nor depth, nor any other created thing, shall be able to separate us from the love of God which is in Christ Jesus our Lord” (Romans 8:38-39). We are conquerors. Overcomers. Victors. Our God will give you everything you need to win this fight, but you have to get out there and fight it. 8 Responses to "Filling the Emptiness: 3 Steps for Beating Sins That Won’t Leave"
Your posts are so enlightening and encouraging. They give me much food for thought. I look forward to them. Thank you! Excellent action article Jeremy! Thanks! “God established His perfect laws to protect us.” And Jesus said, “I don’t condemn you go and sin no more.” where did you jump the fence? nice reproof. Cannot go back to “church” then, the whole structure is not what Jesus taught us to do. Seek first God’s kingdom, Jesus said. Not this kingdom of men. I’m not too sure what it is you’re implying. Would you mind clarifying? Jeremy, this cut me to the heart. Thank you! You have given me much to think about. Thank you! Honestly, it’s more of a reminder I wrote to myself than anything else…but I’m glad to hear it was helpful to you as well!